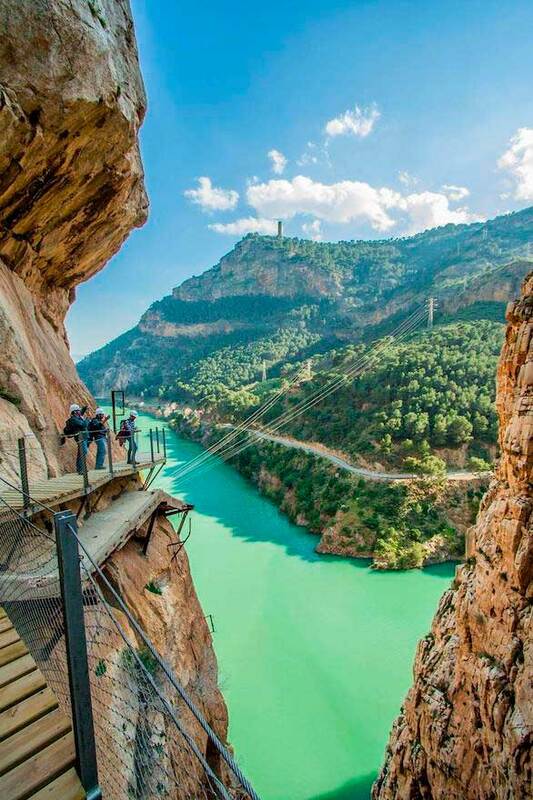 El caminito del Rey (English: the King´s little pathway) is a walkway, pinned along the steep walls of a narrow gorde in El Chorro, near Ardales in the province of Málaga, Spain. 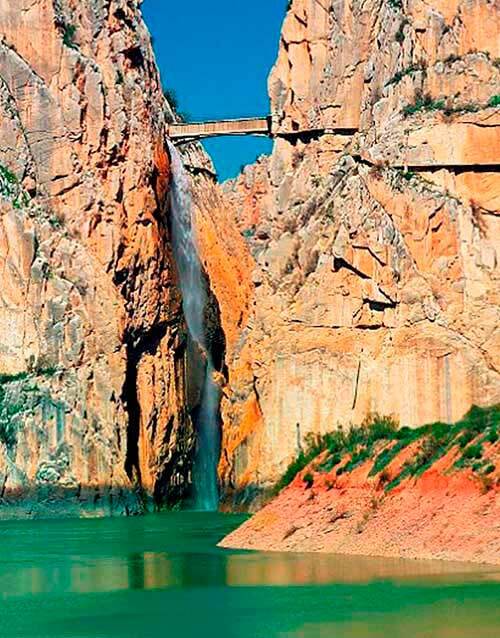 The name is often shortened to Camino del Rey (English: King´s pathway). 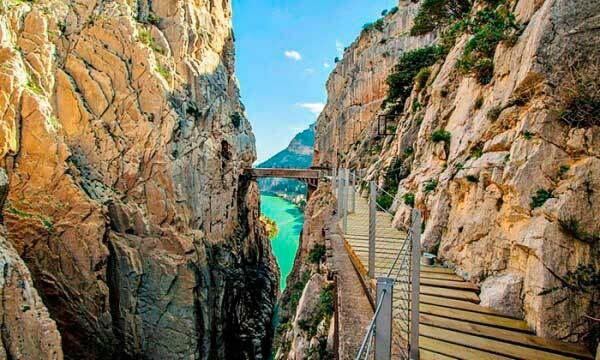 The walkway had fallen into a disrepair and was partially closed for over a decade. After four years of extensive repairs and renovations, the walkway re-opened in 2015.